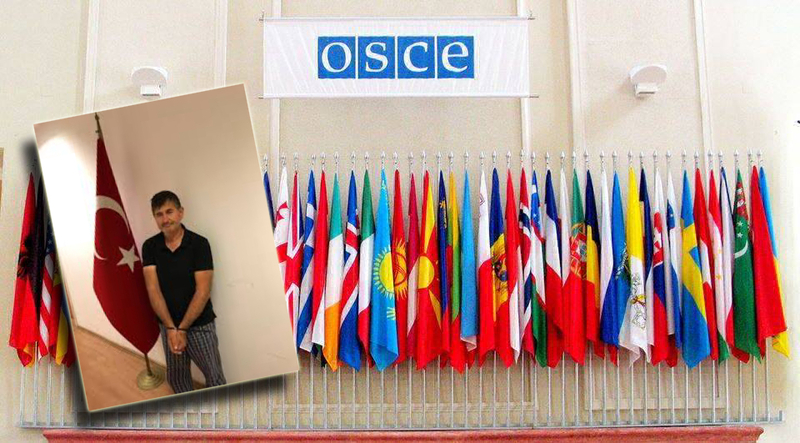 The recent deportation of Turkish journalist Yusuf Inan from Ukraine has raised concern over freedom of expression, the Organization for Security and Co-operation in Europe (OSCE) said in a statement Thursday. “Journalists should not be prosecuted for expressing their opinions and it is of concern that a critical journalist was extradited to Turkey. I ask the Ukrainian authorities to clarify whether his freedom of expression and right to appeal were taken into consideration,” said Harlem Désir, the OSCE representative on Freedom of the Media. Désir also urged the Ukranian government to refrain from deporting two other journalists Fikret Huseynli and of Zhanar Akhmetova. Yusuf Inan, the Editor-in-chief of online news outlet News2023.com and the former Editor-in-chief of the Yerel Gündem newspaper, was detained by Ukrainian authorities in Mykolayiv and extradited to Turkey, on July 12. Inan is wanted on accusation of membership to the Gulen movement which the Turkish government accuses of being behind the July 15, 2016 failed coup, a claim the group denies.